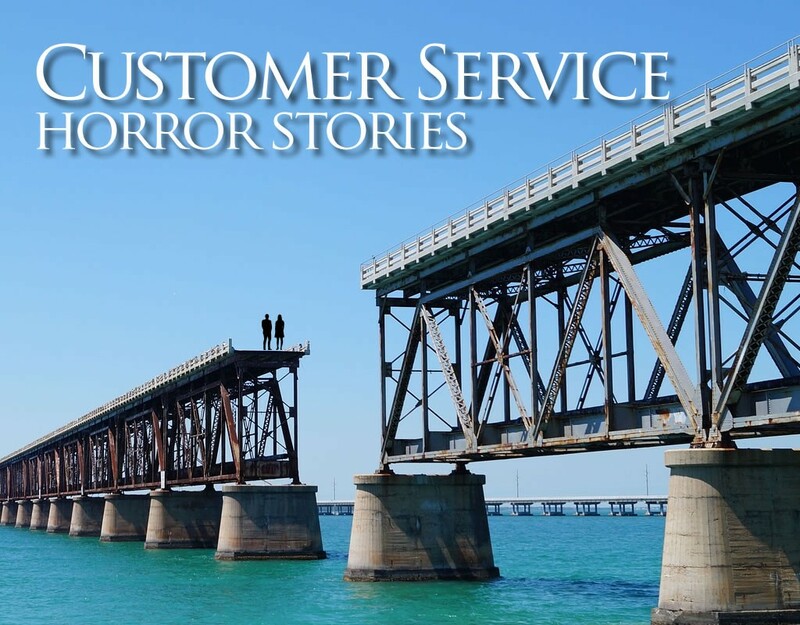 Do you have a customer service horror story to share? What stories are you telling about yourself before you even show up to do business? A friend of mine sailed his boat up on some rocks in the Bahamas. As the wind and waves increased, his stuck boat began to pound on the coral. Unable to get loose, he used his VHF radio to call for a rescue and was told a tow-boat was on the way. An hour later, he called in again and was told that the towing crew had gotten caught up in another job and was now en route to them. He launched a signal flare and was able to get a passing yachtsmen to pull him off the rocks. “I wish I’d just launched that distress signal when I first ran aground,” he told me. “I’d have incurred a lot less damage and gotten out of a life-threatening situation faster.” He didn’t stick around long enough to find out if the tow-boat ever got to his grounding site. His would-be rescuers had put his boat and his life in danger. He didn’t feel he owed them the courtesy of a cancellation call. Moving to a new office means setting up new Internet service. I called the provider I had been using for over a decade and without intending to, they told me a sad customer service horror story about their values and ethics. After reluctantly accepting an appointment between 8:00 a.m. and noon. I went over to my new, empty office, puttered around until 12:00, and then left. At 1:15, I received a call that the installation crew was on its way. A four-hour time slot is a pretty big barn door to hit but before they missed it, I never even received a call informing me the technician would be late. If I was that loose with my scheduling, I’d be out of business. I need an 8am appointment with no one else in front of me. Can’t afford to throw away four hours again. For these things to be complete, we need the customer to be present. That’s fine. Can you be there at 8 next Tuesday? K. Let me reschedule you and let me check availability on that date. I need a firm time, not a 4-hour window. You would like May 29 Tuesday at 8:00 am correct? I’m checking with customer service as we speak. Stand by. Just rescheduled you for May 29 Tuesday between 8:00am and 12:00pm. Advised them that you really need a technician there at 8:00am or latest at 9:00am. They put it in their notes. You should be good to go. Okay but I’m bailing at 8:15 if I haven’t heard from someone. I understand there’s traffic, etc. but I’ll be there at 7:45. I just need a reliable appointment. Can we agree on a time and have all parties there? I need a commitment or will have to cancel. They definitely will try to call you before arrival. Try to give them a chance to call you ahead as we don’t leave the office until 8:30am. If you don’t leave until 8:30, can I assume that the 8:00 appointment either involves time travel or won’t happen as scheduled? After missing the appointment, the AT&T technician attempted to follow his customer service script. He sounded polite and accommodating, but the scripted story about an available 8:00 appointment conflicted with the true story that their installers don’t even leave the office until 8:30. Knowing that they were intentionally making a promise they wouldn’t keep destroyed my 20-plus-year relationship with this company. Likely, AT&T’s installation teams were so overbooked that they had become numb to the urgency and importance of their customers’ stories. Nobody called to earn back my loyalty. Nobody offered a special deal. 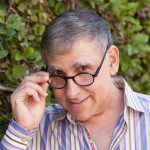 That tow-boat left me pounding on the coral and primed me to write this post. Do the stories you tell with your deeds reinforce the stories you tell with your words? Do colleagues and clients see you as someone who delivers or are they telling customer service horror stories about their interactions with you and your team? Customers hire you when they are tossed about on the stormy seas of conflict. They need your special magic—your specialized skills or insights—to deliver them to their safe port of transformation. Stories require authenticity; customers trust professionals who understand and respect their stories. If you don’t show up, not only do you prolong your clients’ ordeal on the rocks, you force them to make uncomfortable decisions about how long to wait and when to call someone else for help. Smart professionals cut ties with unreliable and uncommunicative contractors quickly. They won’t wait to keep a blown appointment with a company that doesn’t care. Another piece of storytelling is buried in this article. I could easily have scripted out the text message exchange as if it were a play. Me: That’s fine. Can you be there at 8 next Tuesday? AT&T: K. Let me reschedule you and let me check availability on that date. Two CSS rules define the look and feel of the two div classes referenced in the code above. The teal comments explain the function of each line. Did the visual storytelling enhance the experience of reading the post? Was the experience more authentic? If you don’t think so, do you commonly exchange text messages or is this visual language not a usual part of your storytelling vocabulary? What about the coloring of the code elements? Even veteran programmers rely on syntax highlighting to help the code tell the story of its purpose. Unexpected colors usually point to a forgotten quotation mark or bracket. That’s storytelling, too.